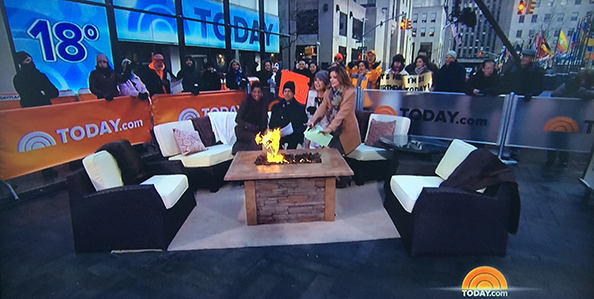 In 18 degree weather, “Today” decided to warm up the crowd with a new addition to the plaza — a fire pit. The fire pit was located just outside the Studio 1A windows and was made available to the small crowd of onlookers during part of the show. Later, the hosts ventured outside briefly and sat around the fire pit on outdoor furniture that was hauled outside. Meanwhile, “Today” cohost and forecaster Al Roker was in Washington, D.C. today at an outdoor location near Capitol Hill, complete with a flat screen monitor. 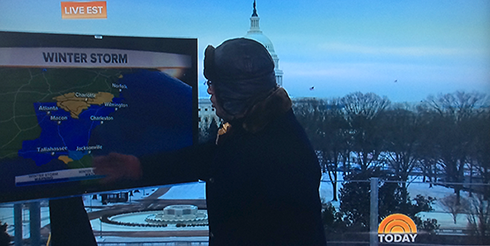 Roker, who was bundled up in the frigid temperatures, used the flat screen monitor to show weather maps and toss to the Weather Channel’s Sam Champion in Atlanta. The monitor’s image, however, was a bit washed out in sunlight and it also seemed a bit unsteady — it was shaking visibly in the wind. 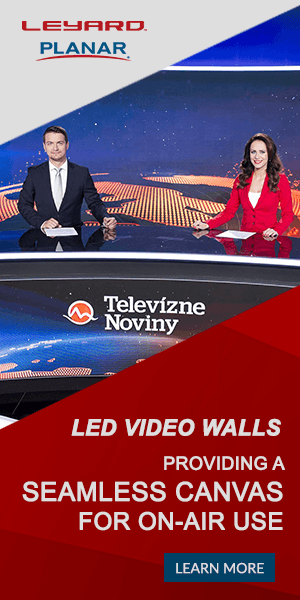 As the show went on, Roker appeared to give up using the monitor.